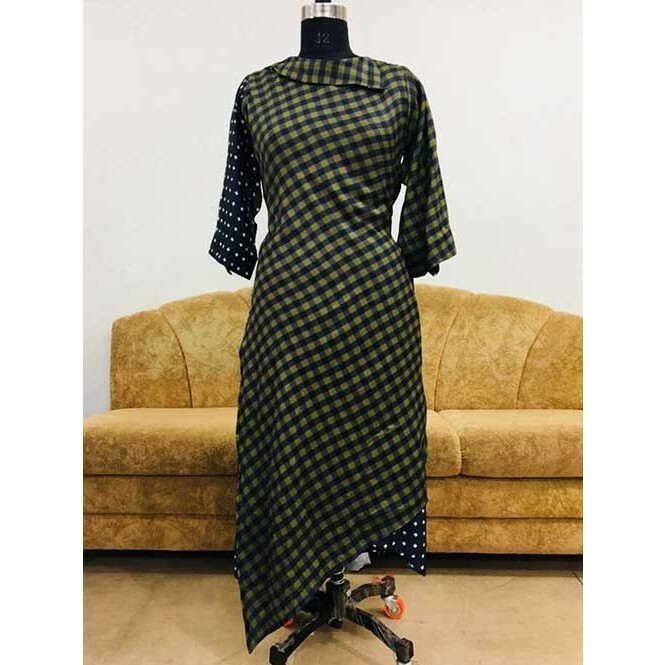 Catch Out Best Look For The Day With This Awesome Green Colored Checkered Cotton Silk Digital Printed Gown today. 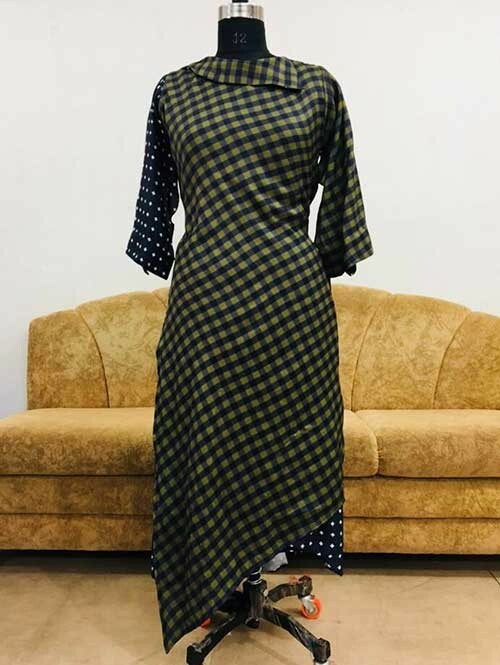 Here is a graceful Beautiful Green Colored Checkered Cotton Silk Indo-western heavy traditional designer Gown Come Kurti for all you ladies who love to don royal elite attires. The color combinations and patterns are also equally delightful.